SEATTLE, WA, April 2nd, 2019 – Jobalign, a leading recruiting technology focused on hourly job seekers, today announced the expansion of its services with Merrill Gardens, a national leading provider of senior living facilities. A key benefit of the Jobalign solution is that it promises to reduce the time it takes to recruit, while increasing candidate flow by up to 4 times, and ultimately reducing the costs of recruiting and being under-staffed. “If you want to reach hourly job seekers, you have to make it easy to communicate with them quickly,” explains Doug Lotz, of Human Resources Manager at Merrill Gardens. “Jobalign helps us find qualified candidates and allows us to text with candidates in real time through their Candidate Text Messenger tool. Now our hiring managers connect with candidates immediately to conduct phone screens or set up interviews. More importantly, their support is fantastic, and they always partner with us to solve our issues.” says Lotz. At Merrill Gardens our focus is always on the people who live and work in our communities. Our commitment comes from the deep roots of our family company. Our founder, Richard Dwight (R.D.) Merrill, came to the Pacific Northwest in the 1890’s to establish timber holdings. He was an innovator, the first to practice sustainable forestry, and his tradition of attention and thoughtfulness eventually grew to include the business of caring for people. 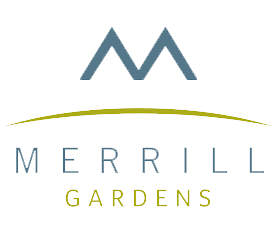 Merrill Gardens started with one community in Seattle, Washington in 1993 and we now have thousands of team members across the country. Through innovative programs and a determined commitment to residents and team members, Merrill Gardens is one of the most respected senior living providers in the country. We have 32 communities in eight states offering independent living, assisted living and memory care and we are growing too, with several new communities in development. Hiring managers love that Jobalign makes it easy to attract, engage, and hire hourly workers. Hourly job seekers love the engaging and positive candidate experience and simple application from any device. Jobalign is the nation’s leading hourly recruiting technology that helps attract and communicate with hourly talent more efficiently. Jobalign enables job seekers to quickly and easily apply for positions through an optimized application experience. Jobalign allows recruiters to reach out directly to candidates through text, significantly reducing friction and abandonment rates while increasing speed and number of candidates received. Jobalign seamlessly integrates with enterprise applicant tracking systems to create an applicant profile while engaging the candidate throughout the hiring process.